Hello hello! Time for my first Unblogged Files of the year! First up, let me level with you - in the past few weeks I was seriously considering stopping my Unblogged Files posts altogether. I mean, I've done them consistently every month for five years (self-high-five! ), and that's a pretty long run! 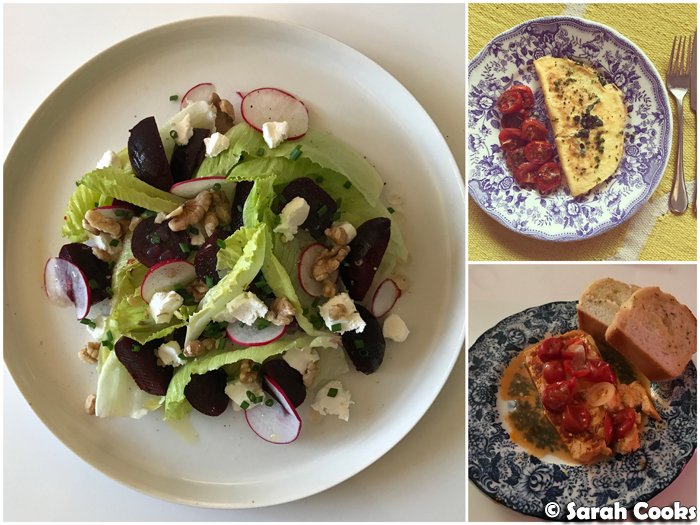 These days, as I'm only doing 4-5 posts a month, and the Unblogged Files usually take a lot of time to write up, I was thinking maybe I should focus my precious blogging time on other posts - restaurant visits, recipes, book reviews, travel! However, as February ticked along, I was getting itchy fingers, looking at all the photos I took over January. So many good food experiences to tell you about! And yes, I Instagram most things, but I do so love chatting away here and creating an easy-to-search record of my eating experiences. TL;DR? Unblogged Files ain't going anywhere for the forseeable future. Hooray! Existential crisis over. Let's look at the food. So! 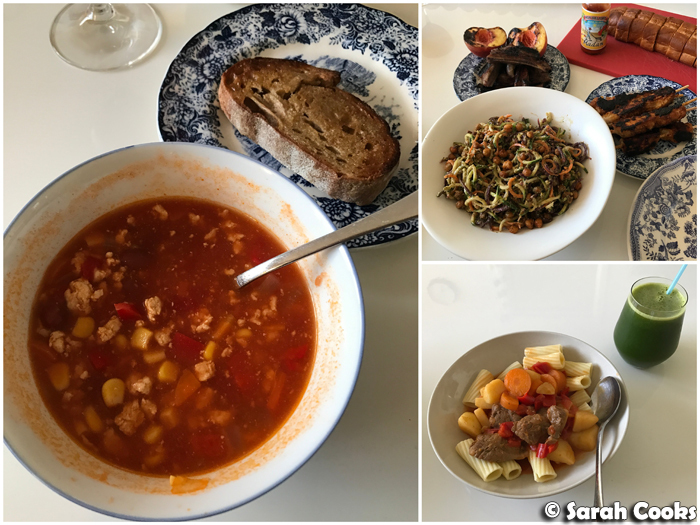 We came back from Germany in the middle of January, and the aim was to get straight back into home cooking and healthy eating. 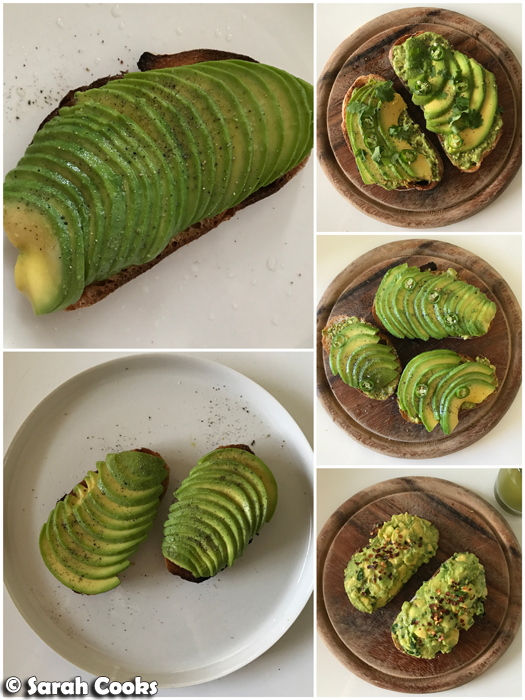 Avocado toast as far as the eye can see... (yup, the avocados are back). 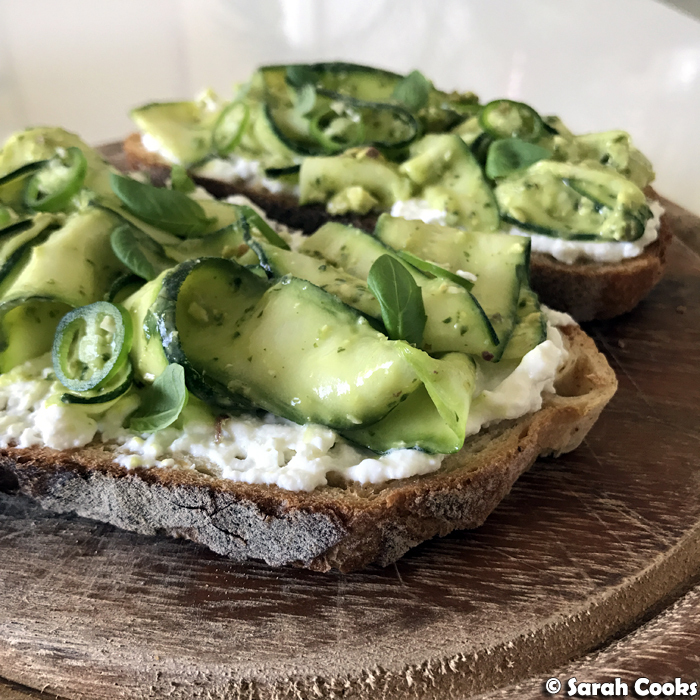 And a super-pretty raw zucchini tartine. 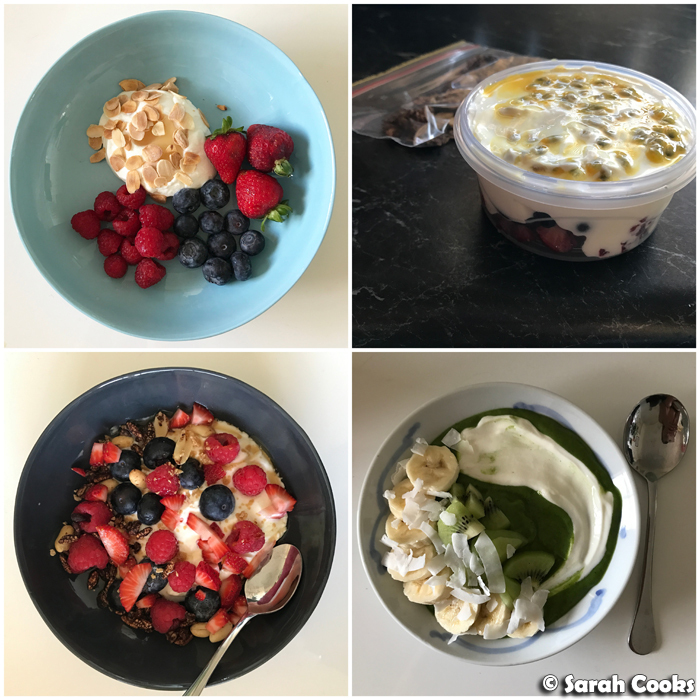 I was really good with lunches, being organised and doing lots of #mealprep - no photos for now, as I'm planning to do a full post on meal prep ideas and recipes! 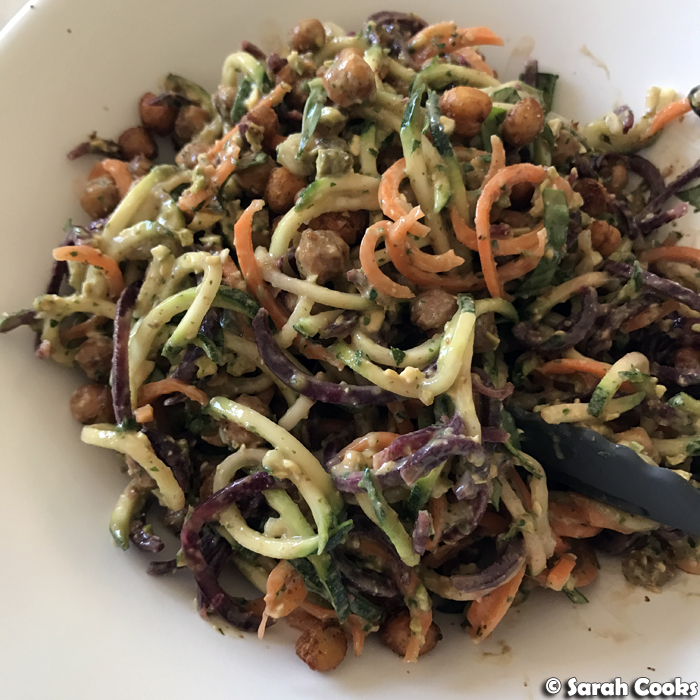 My sister-in-law got me a spiralizer for Christmas, and it's been fun using it and getting heaps more vegetables into my diet! (You can see the zucchini noodles above). Special shoutout to Pinch of Yum's rainbow power salad with roasted chickpeas and 5-minute magic green sauce - so good! 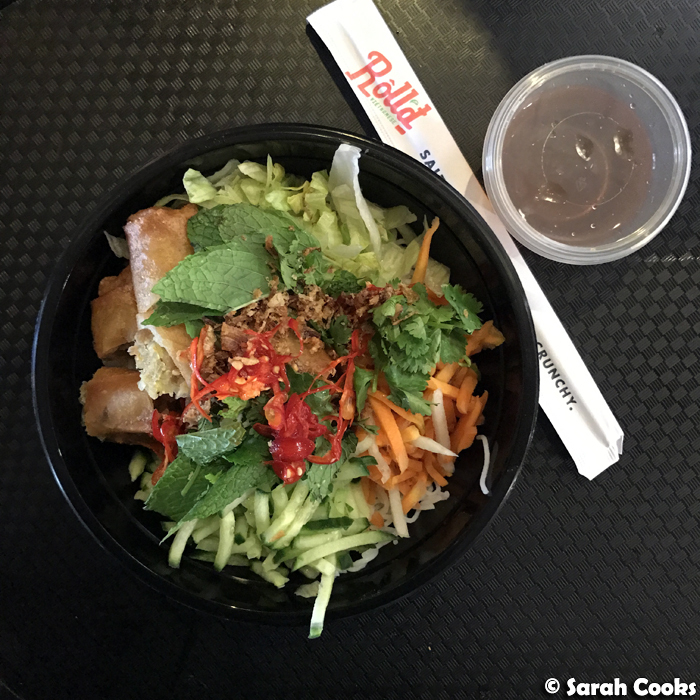 Right now I'm kinda obsessed with the pork spring roll bún from Roll'd - it's a great option for when I need a quick food court meal that's not too heavy and includes lots of vegetables! The spring rolls are great too, so crunchy and flavourful. I've had this a bunch of times this month, so yum. 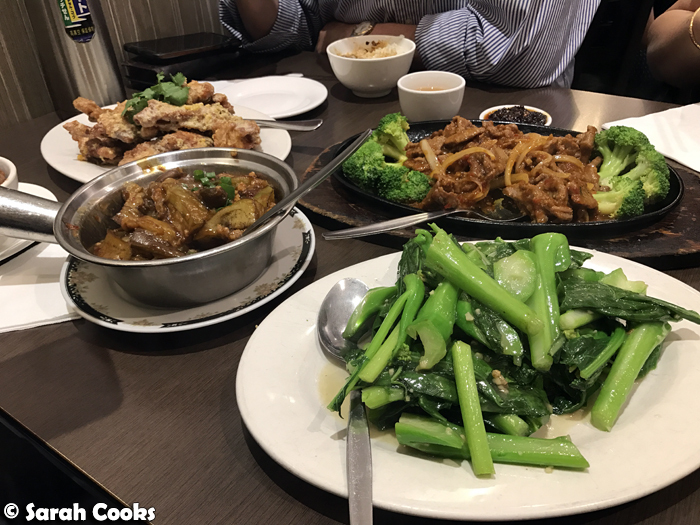 One night we had a family dinner at Bamboo Chopsticks (10 Mitchell St, Doncaster East, VIC 3109). This is a favourite of ours - the salted egg yolk chicken ribs, especially, were incredible! We had to buy a new fridge this month, as our old one was on the fritz. Whilst at the store, we also impulse-bought a new Nespresso machine. Whoops. 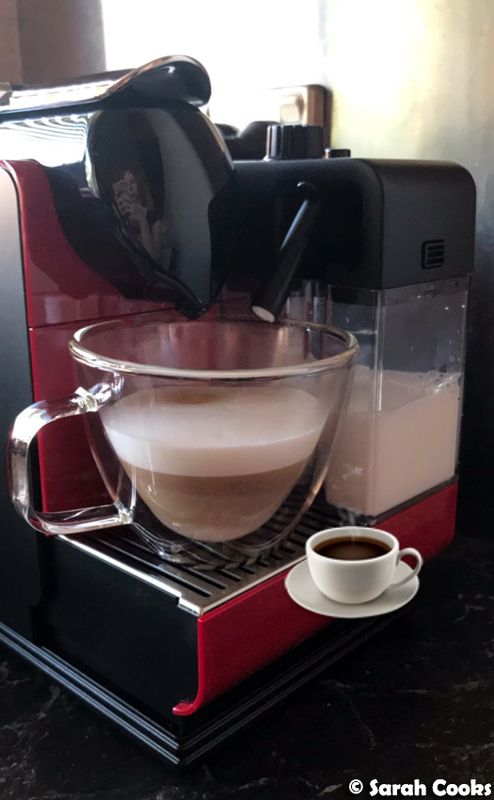 This model is much better than our old one - not only are the coffee settings automated rather than manual, but the milk frother's all built in, whilst still being easy to remove and clean. Woo! With regards to the fridge, we had a little snafu with the delivery, and whilst the delivery guy took our old fridge away, we ended up having to figure out how to get the 80 kilogram fridge up a flight of stairs ourselves. Gah! We called friends and family and - thank goodness - we managed to find four people to come over and help us that very afternoon. We are so lucky to have such wonderful people in our lives! It was a chaotic afternoon, as everyone brought their wives and children, but we succeeded in the end! Sandra assisted with her excellent project management skills, and I helped by staying out of the way. 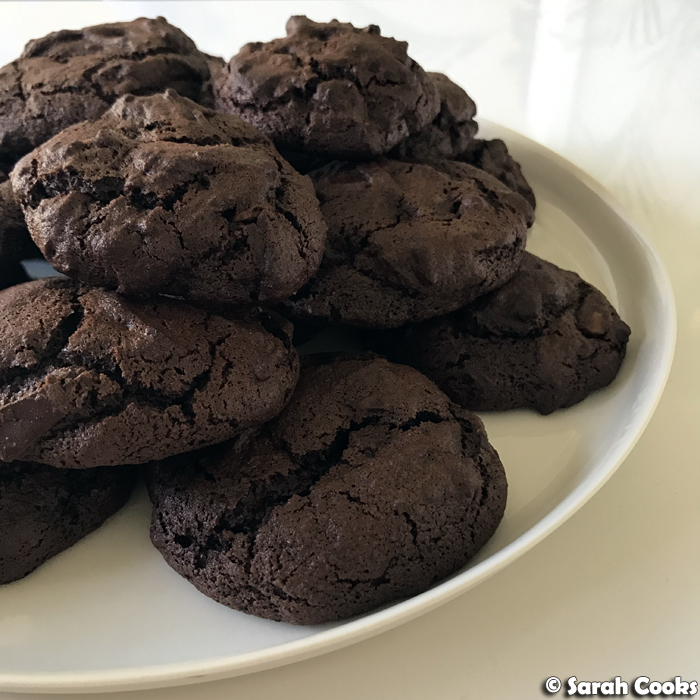 I baked some cookies as a small thank-you - Nigella's triple chocolate buckwheat cookies to be precise. So rich, smoky and delicious! We also got some gelato delivered to the house. (Unfortunately, no cold drinks to be offered as we Had No Fridge). We went to the tennis for the first time! (I mean, I'd been to one Australian Open match before in my life, but this was my first time getting a ground pass and just enjoying the grounds and the atmosphere). It was awesome fun! We saw Lindsay Davenport and Martina Navratilova (faint!) do a legends doubles match, and also watched the exciting Raonic vs Bautista match. Food and drink were ridiculously expensive, but I guess that's just part and parcel of the tennis. I had the soft shell crab souvlaki from the Gazi stand ($25 with chips and a drink - faint! ), and Sandra had the Mamasita pulled pork nachos - both great. 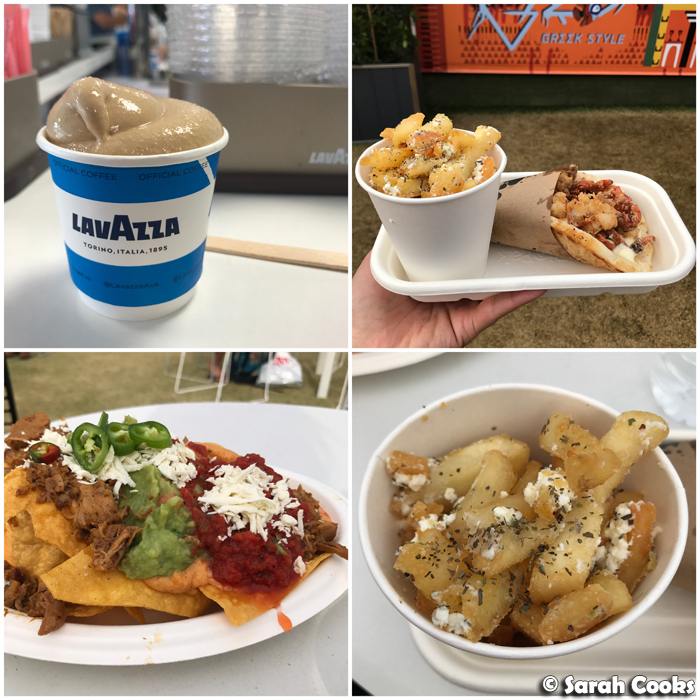 Also that Cremespresso thing from the Lavazza stand (blended espresso, milk and double cream) was all kinds of delicious. On Australia day we had brunch at our friend Gabbie's place. 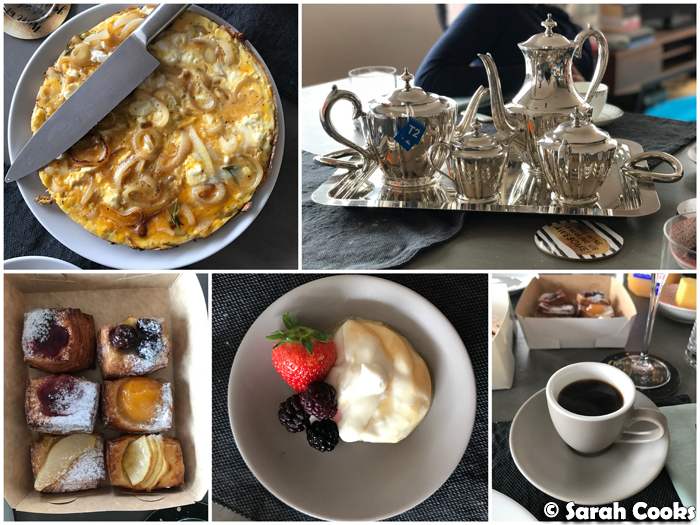 Delicious onion and goat's cheese frittata, pastries, yogurt and fruit ("I picked the mulberries with my OWN HANDS"), plus lots of mimosas, coffee, and tea in this gorgeous tea set. Want! Last up - we saw The Book of Mormon! We'd bought the tickets over a year ago and it was worth the wait! Not only was it hilarious, but the songs and musical performances were also really great! (You and Me (But Mostly Me), amirite?) I've been listening to the soundtrack on repeat since then, and trying not to burst into laughter (or song) in the office. Before the show, we had a sneaky drink and snack at Federici Bistro (163 Spring St, Melbourne VIC 3000). 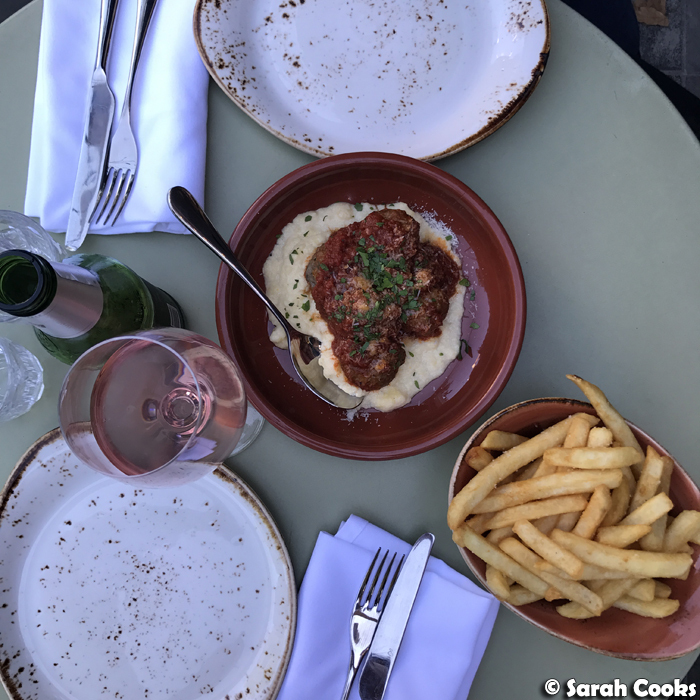 Meatballs and chips, both delicious. Apparently you can pre-order dessert to have during the intermission, but I have no idea how that works. And that was January! Hooray! Plans for February are a couple of events, lots of housekeeping and chores (boring but necessary), and many catch-ups with friends and family! Let's do this thing. 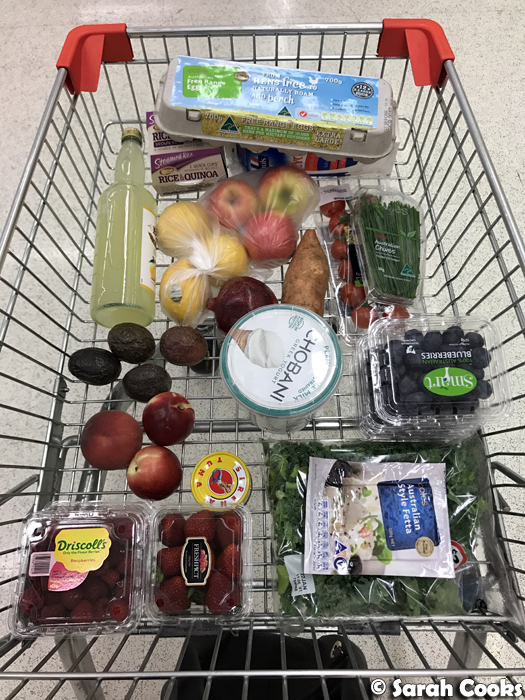 Hehe I'm glad there's a whole avocado array! :D And I don't know it's a bit slack if they don't bring your fridge up right? I mean that's part of delivery.